Leaders in the health and care sector are responding to a growing policy emphasis on taking an integrated, whole-system view of population health and care needs. There is an increasing evidence base that co-ordinating plans, integrating delivery and aligning incentives across currently separate organisations and sectors presents opportunities to make transformational improvements in health and care outcomes, through higher quality and more efficient services. This move towards systems thinking is a change from recent policy history, with its emphasis on competition and market mechanisms. In the commercial sector, too, collaborating within a defined system (e.g. a supply chain) is commonly replacing simplistic ‘win-lose’ competition. Failing to recognise that systems are not static and that the ‘right’ partners will vary depending on the opportunities and challenges in question. The Strategy Unit has a history of supporting clients realise the potential of collaborative working - making better use of scarce resources and improving outcomes for their populations. We know from experience that the delivery of transformational change is a long-term project requiring clear, evidence-based logic and relentless focus. Establishing robust programme management arrangements, to ensure the effective delivery of system objectives. Reconfiguring more specialised services across one or more systems, especially in relation to acute physical and mental health care. Supporting implementation of innovative change at scale. Understanding the factors driving the current position and how these might evolve. Evidencing the nature and scale of the challenge/ opportunity. Defining system vision and aims. Examining evidence and generating ideas. Developing and modelling, evidence-based strategies, clinical models and options. Testing propositions, appraising options and building consensus. 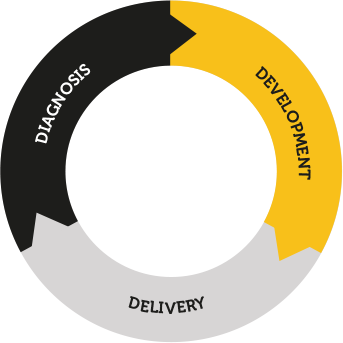 Evaluating outcomes – harvesting learning from delivery for further improvement. Critical challenge, strategic advice and ongoing support to realise system aims. Want to have better access to general practice appointments?